If you're heading to Barbados next season, don't think that you have to settle for a solely 'sun, sea and sand' themed holiday. Tick a few things off your Caribbean bucket list by trying out an exciting array of activities to keep the whole family busy. Yachts up to 76 metres can moor at Port St Charles while larger superyachts can use one of the marina's two mooring buoys. Kickstart your days in paradise with a few sun salutations as the sun rises. If you're staying in a private Blue Sky Luxury villa such as Crystal Springs or Greensleeves, opt for a private beachfront class with Jennifer Jones, who can expertly guide both beginners and regular practitioners. The sound of the waves rushing to and from the beach combined with the famously fiery Bajan sunrise created the perfect atmosphere for a grounding and revitalising yoga class. Additionally, Jennifer offers Pilates and power yoga classes. 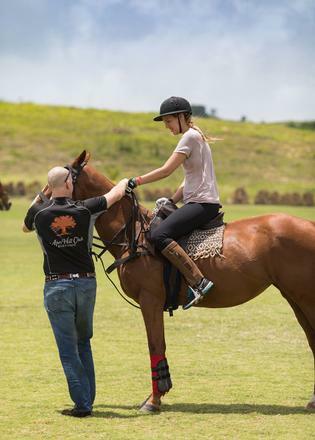 For a truly exhilarating Caribbean workout, opt for a polo lesson at Apes Hill Polo Club. Regardless of your experience, you can have a marvellous time in the Apes Hill practice field with some of the world's best-trained horses. To really take your skills to the next level, try out the three-day instructional polo clinic, taking place December 7-11. Stay in the luxurious polo villas and receive VIP treatment while making the most of one-on-one lessons. If horse riding isn't your cup of tea, check out one of the fixtures (December – May) and enjoy the fun as a spectator in the sunshine. For those who don't want to go diving, stand-up paddleboarding (SUP) is a fun and effective way to work out on the water. 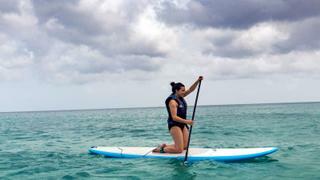 This total-body workout will help you tone up, improve your balance and endurance, while being out atop the crystal clear Caribbean sea can help to reduce stress levels. If you feel you need a few lessons to get you started, the WPA certified pro-SUP team of instructors can guide your first paddle strokes with their expertise of both the sport and the surrounding waters. Heading out on a privately chartered catamaran is one of the best ways to see the island in all its glory. Revel in your surroundings as you cruise past Barbados' luscious coastlines while stretched out on the catamaran's trampoline with a glass of Champagne. 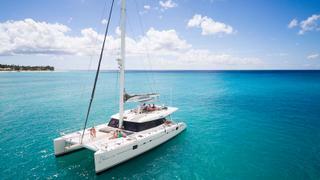 Charter 14.3 metre Seaduced I or 18.8 metre Seaduced II and have your every need catered for. If you're looking to unwind with your trip out on the water, opt for a Spa by the Sea experience to enjoy a variety of treatments onboard, accompanied by spa-inspired cuisine. Alternatively, opt for a luxury day sail and tailor your entire experience. Just make sure you save some time to go snorkelling with the resident turtles in the area and to watch the breathtaking Caribbean sunset. What better way to spend a day than to soak up the sun while playing a few rounds of golf? The Apes Hill par-72 championship course opened in 2009 and it's one of the most beautiful spots in which to play golf. 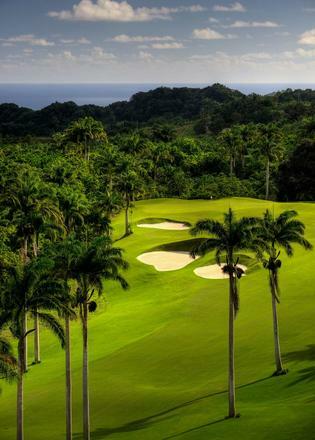 Featuring dense tropical forests, views out to sea, coral stone quarries and rolling hills of Paspalum grass, guests can play 19 extremely varied holes. If you're hoping to work on your swing, book in some lessons with PGA professional Roger Beale and his team of expert teachers, who can help you improve your game in this truly idyllic setting. 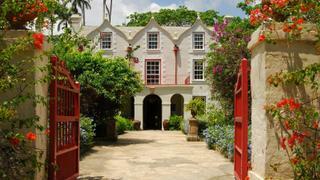 For a slightly more leisurely option, head to St Nicholas Abbey, a 350-year-old sugar plantation turned rum distillery. Explore the Great House's artefacts and antiques before taking a tour of the distillery, where the famous St Nicholas Abbey rum is made using traditional methods. Created with hand-picked sugar cane unique to the abbey, it is cut and fed into a steam mill and a vacuum evaporator to create a syrup. It is then distilled in small quantities using 'Annabelle', the traditional pot still. Afterwards, the rum is barreled in bourbon oak casks to be aged. Guests can sample the distillery's five, 12 and 18-year-old rums in the property's beautiful kitchen. Finally, sit back and enjoy a rum punch in the stunning terrace cafe, one of the best lunch spots in the Caribbean, which is surrounded by the tall and lush rainforest. With the population of lionfish growing at such an extraordinary rate, it is important to try and maintain numbers before the other species of reef fish become depleted. Conveniently, it is a surprisingly delicious fish that is extremely popular in Barbados. Try spearfishing in some fantastic diving spots with Alex Davis, a professional freediver and spearfishing instructor from Cornwall, England. As one of the most traditional, ecological and exciting methods of fishing, it's well worth discovering the joy of catching your own meal. Alternatively, take your diving to the next level and enrol in a 1-3 day freediving course so that you can become an expert snorkeller.